Monday’s Majors and Minors Fair, hosted by Toppel Career Center, exemplified what Toppel is all about—helping students prepare to pursue jobs. The fair was held in the center ballroom of the Shalala Student Center and was populated by close to 100 students. 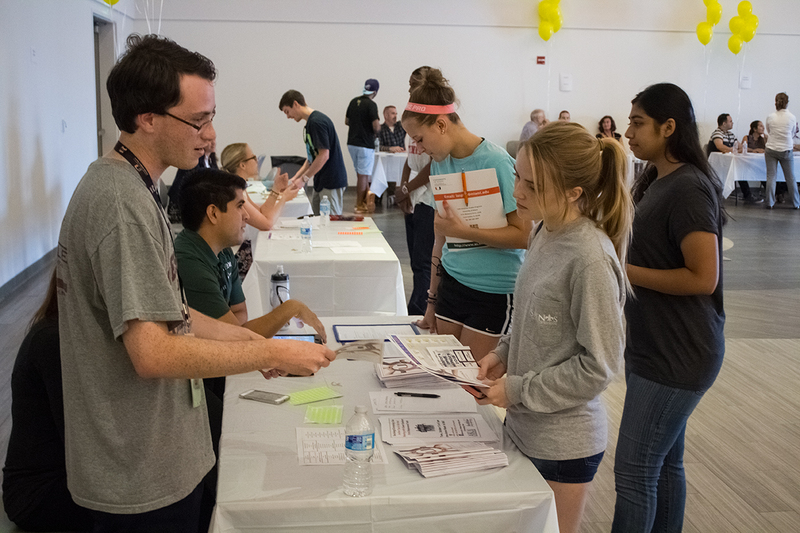 There were upwards of 20 booths set up to aid students, some of whom were sure of their majors and simply wanted to learn of cognate options or meet the academic deans, and others who were entirely unsure of their academic path. Justin Childs, career exploration advisor at Toppel and coordinator of the event, said the fair was a way for students to feel the expansiveness of their academic path by wandering through, taking in the majors and minors the university has to offer. “The Majors and Minors Fair allows [students]to see all the different options that are presented right here at the institution,” he said. Students explored the fair—armed with curiosity and complimentary pizza—stopping at various booths set up by professors, academic advisors and fellow students. Each booth represented an area of study, and students who were interested would approach and interact with the leaders stationed at a particular booth. There, they would learn about the various classes, programs and trips that field of study includes. Mota, an undecided business major, looked around to learn more about the various business concentrations. “It’s perfect for students who are undecided in their major,” Mota said. Aside from disseminating information about majors and minors, Toppel brought in the additional educative component of travel. From studying architecture in Barcelona to participating in archaeological digs in Chile, UM offers many travel options to bolster students’ educations and create a well-rounded college experience. There are more than 60 programs in 32 countries offered at UM.